With just seven regular season games remaining in her high school basketball career, Greenbrier’s Blysse Harmon is simply trying to soak it all in. “I’m trying to savor every last moment with my teammates,” said Harmon, a senior forward for the Lady Panthers. Although her final season as a Panther hasn’t gone as she had hoped, Harmon is characteristically positive heading into the final stretch. Greenbrier is currently 5-15 (1-6), which is two wins better than last season. It’s progress, which is helping to pave the way for the future of Greenbrier basketball. Harmon was selected to this year’s 501 Basketball Team — 34 players representing the best the 501 has to offer both on and off the court. The team is sponsored by Conway Ortho and Sports Medicine Center, Conway Regional Health System and First Security Bank. Harmon was nominated by her head coach, Payton Edmondson. 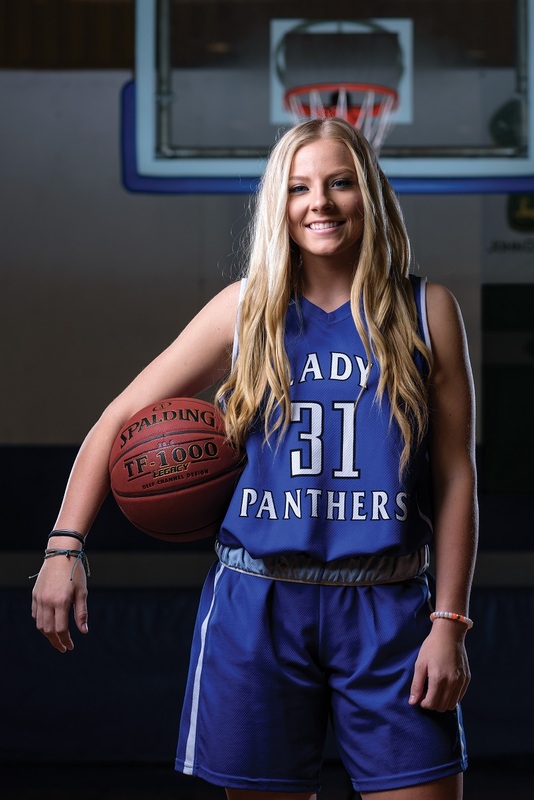 Harmon and the Lady Panthers return to 5A West play this Friday on the road at Russellville, and it’s a rematch that Harmon has been eyeing for a month. Harmon excels in the classroom and will graduate in May with enough credits to complete an associate’s degree. Harmon and the Lady Panthers return to 5A West action on the road at Russellville at 6 p.m. Friday.